Alcatel Mobile Philippines just launch their new tablet Alcatel One Touch Tab 7HD, this tablet is totally different than the previous Alcatel One Touch Tab, running on Android Jelly Bean 4.2 and 1.6Ghz Dual Core processor, Alcatel One Touch Tab 7HD has an amazing HD graphics suitable for your multimedia needs. Alcatel One Touch Tab 7HD is worth Php7,499. Not that cheap compared to other tablets which can go as low as Php2,999. 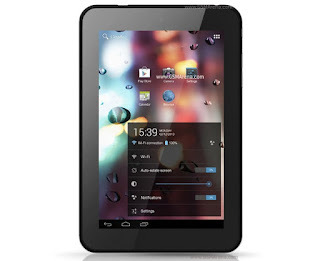 But Alcatel One Touch Tab 7HD is an Alcatel Brand, this is not a China made products. With its 3,300mAh, casual gaming and all day surfing is not much of a problem, 2MP Back camera and VGA front camera. Alcatel One Touch Tab 7HD is considered a mid specs tablet, available in SUN Plan 600.